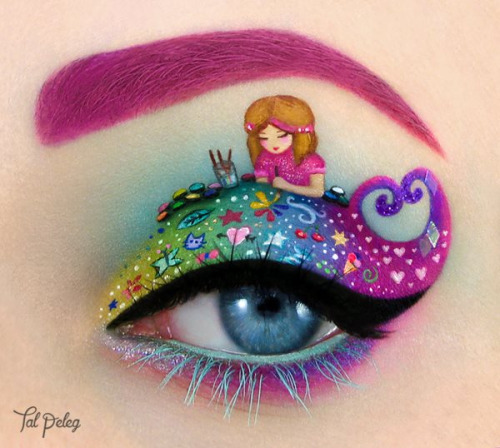 I love wearing eye makeup. 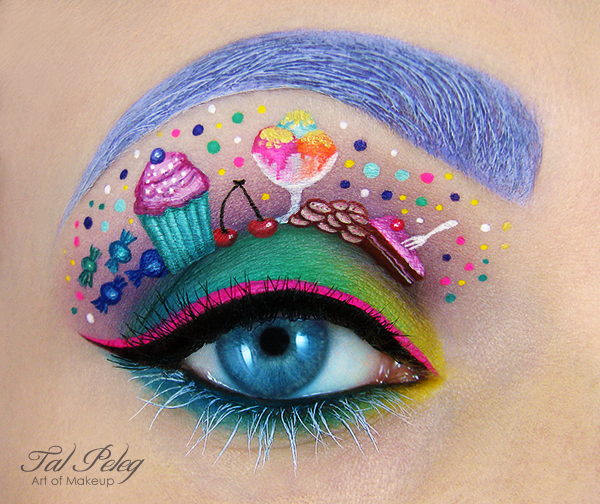 Adding colour to my eyelid, lining it with colourful liners and sparkles just makes my day. 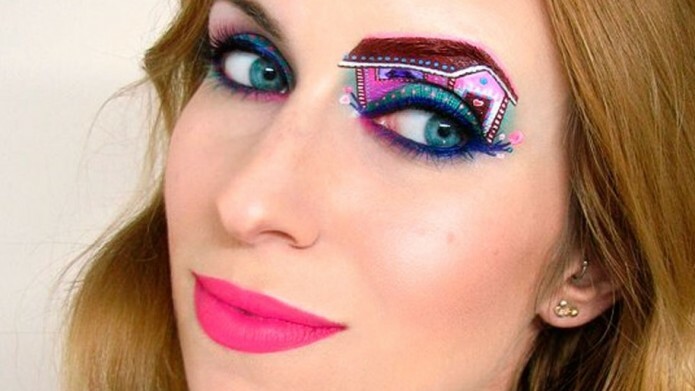 Since I love to follow new makeup trends, Eye makeup is a major part of it. 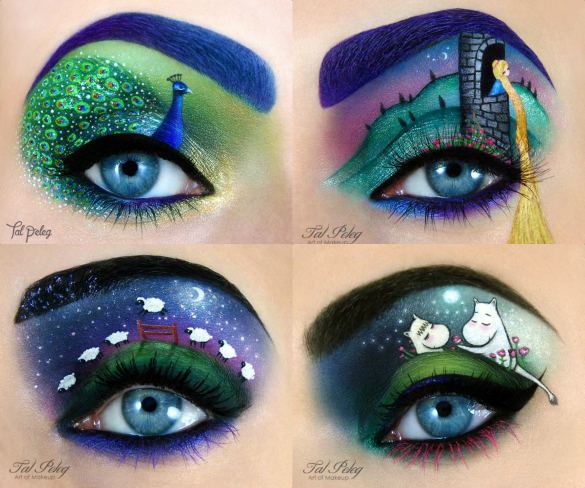 Check out this mind-blowing eye makeup inspired by fairy tales and stories. 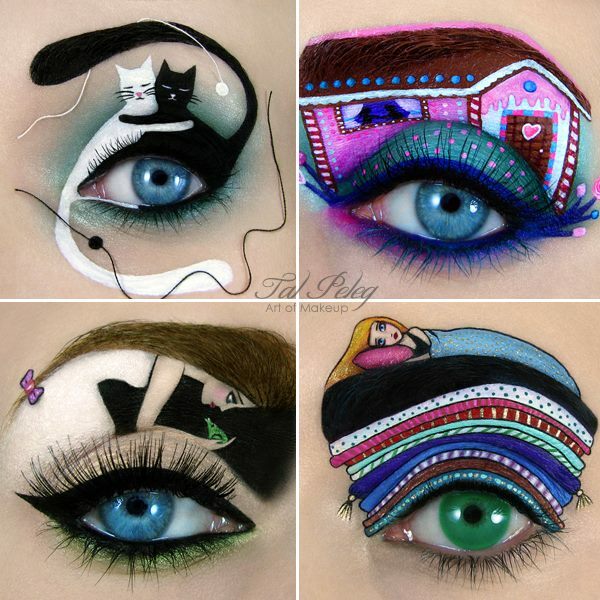 Hats off to the artist Tal Peleg, about which I don't know much. 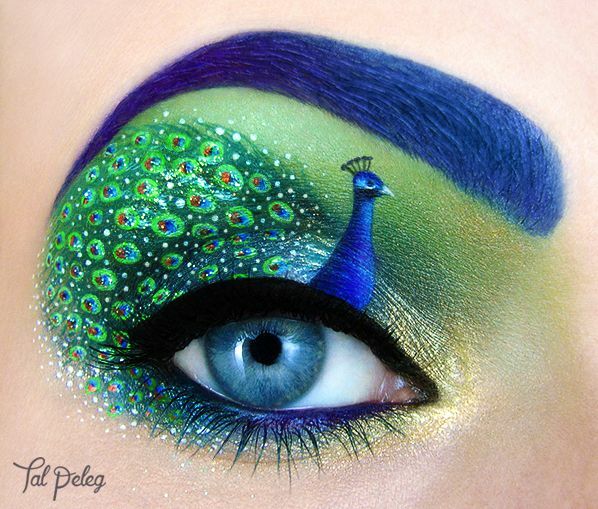 Came across to this fascinating eye makeup on the internet, over a blog. 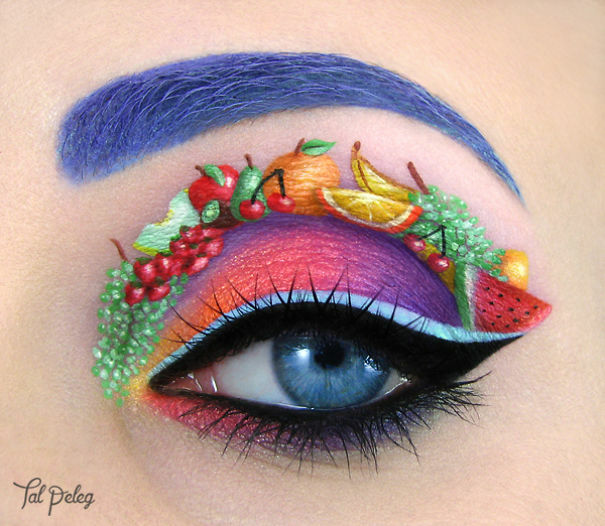 If you know, Do tell me! 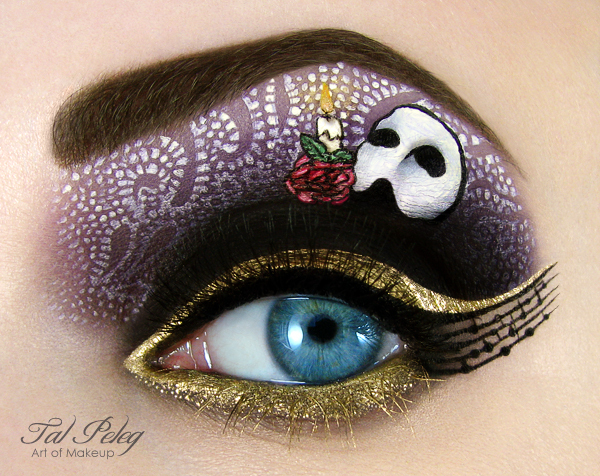 Phantom of the Opera Eye Makeup! 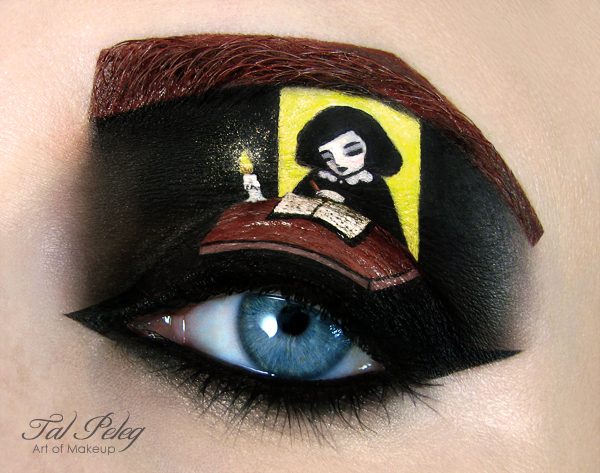 For Holocaust Remembrance Day 2014 she created an iconic Anne Frank design and quoted the upload: "Think of all the beauty still left around you and be happy." -Anne Frank. 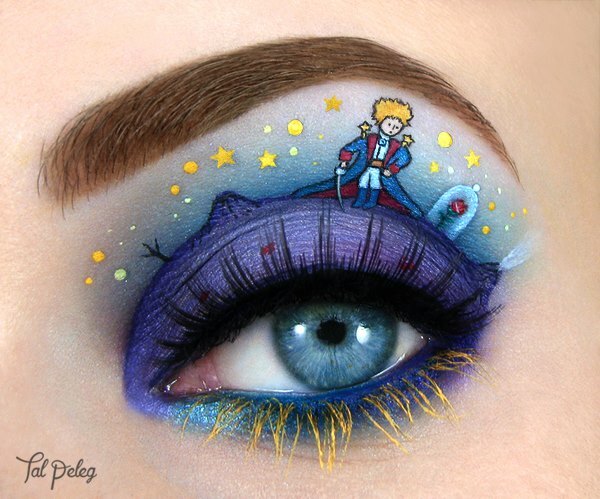 Beauty and The Beast eye Makeup! 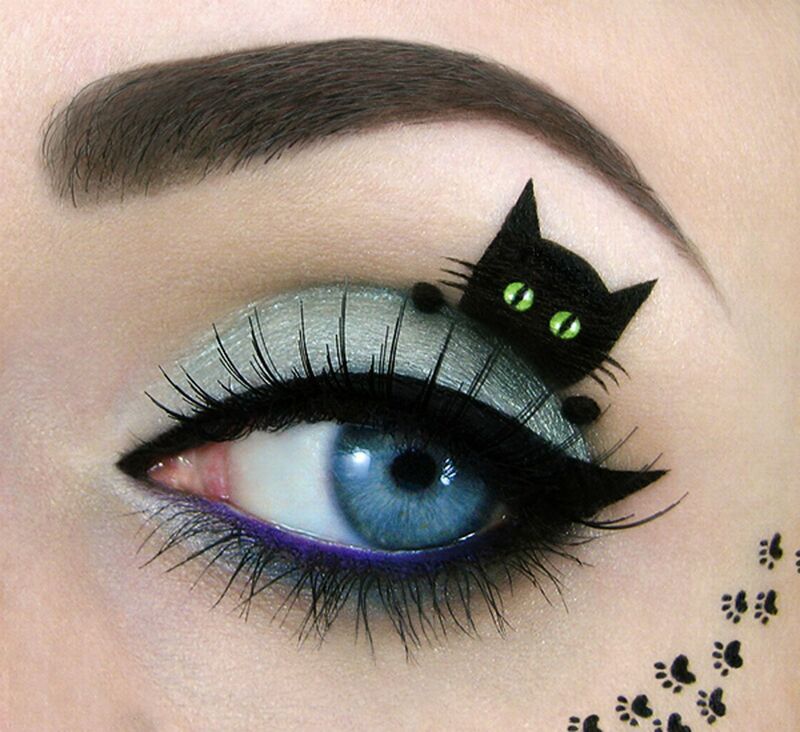 Kitty cat and her paws eye makeup! 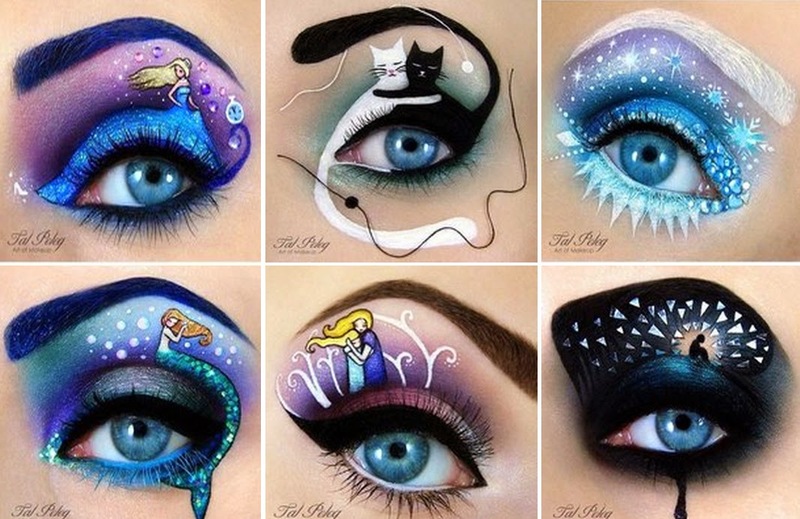 She also created several social issues and fairy tale inspired eye makeup too. These are an absolute art piece you just cannot resist!